Craving for some Trenette al pesto? Then this box from Alta Valle Scrivia is just in time to rescue you! 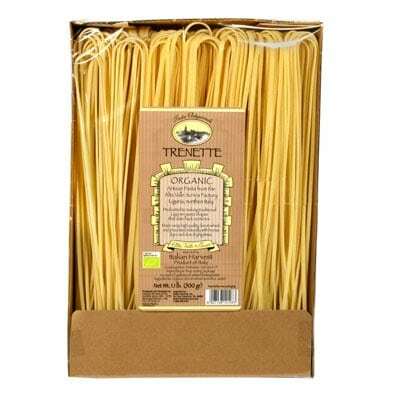 This delectable pasta does not only have 100% all natural ingredients, but it’s also organic. A string type of pasta, it is like linguine, but only a bit thicker. You can totally serve it with any sauce—pomodoro, marinara, arrabiata, or any other sauce you like. But the ideal serving for this lovely pasta is with your favorite pesto sauce. And perhaps add some greens and other vegetables, if you want. And satisfy that craving now!